Organized in 1873, the First Baptist Church of Rockport originally was located on S. Church Street. L. D. Young served as the first pastor. The hurricane of 1919 destroyed the first church building, but the members built a new structure at the corner of Live Oak and Main Streets the following year. They joined with Rockport’s Methodist and Episcopal congregations to form an ecumenical Sunday School. Throughout its history, the First Baptist Church of Rockport has served the community with a variety of worship, educational, and outreach programs. (1991). Chartered on October 8, 1890, the First National Bank of Aransas Pass (now Rockport) was organized by a group of businessmen led by John H. Traylor, James M. Hoopes, George W. Fulton, Jr., James C. Fulton, and Richard H. Wood. Located at Main and Water streets, the bank played a vital role in Rockport’s growth and development. Its name was changed to First National Bank of Rockport in 1903. After surviving both the 1919 storm and the Great Depression, the bank moved to new quarters across the street from its first location in 1958, and to this site in 1974. Soldier in the Texas War for Independence at Goliad, 1835-1836. Old Lamar Cemetery, 7 mi. N on SH 35 to Goose Island State Park, follow P-13 east, then northeast 2.5 miles Rockport, Texas Year Erected: 1962 Marker Type: Civil War Memorials – (pink granite) Erected by the State of Texas, 1962. Located on the waterfront in a community that has survived many hurricanes, this house was built about 1868 by Dr. John W. Baylor. In addition to his medical practice Dr. Baylor owned a local meat packing business, ranched, and worked to bring a railroad to the county. Schoolteachers Elisha (1857-1933) and Irene (1865-1944) Norvell moved to Rockport from Goliad in 1888 and rented the house before buying it in 1890. 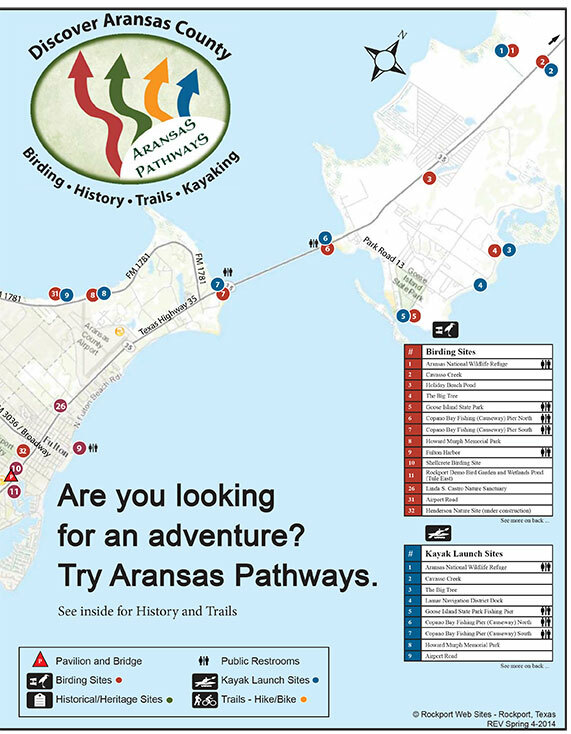 Elisha also worked as an agent for the San Antonio and Aransas Pass Railroad and was a realtor. Irene, a musician, sold the house in 1935. (1991).